Melissa Hartwig Urban is the co-founder and CEO of the Whole30—an intensive 30-day dietary program designed to heal your digestive tract and end unhealthy cravings through whole, unprocessed foods. Today, the Whole30 has over 2 million followers across social media platforms and has impacted the lives of people around the world. In addition to being a busy CEO, Melissa is also a proud mom to her 5-year-old son. And last year, Melissa launched Whole Mamas, a community-inspired online roadmap to help women navigate the entire journey of motherhood, from a Whole30 perspective. In this episode, Liz and Melissa chat about becoming a single mom early into motherhood, expanding what we think about “self-care,” and rising kids with a healthy attitude towards food. Following their conversation, hear Sydney Hutt read her essay, “The Strength of a Single Mom,” — a selection from Motherly's first book, This Is Motherhood, now available for pre-order on Amazon and wherever books are sold. 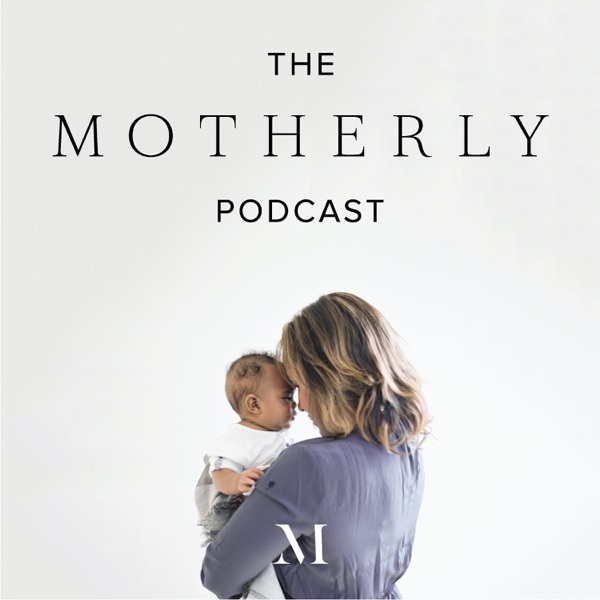 The Motherly Podcast is hosted by Liz Tenety and produced by Micaela Heck and Samantha Gattsek. Music by The Blue Dot Sessions. Thanks to our sponsor, Prudential. Actress Caterina Scorsone is best-known for her role as the passionate and rebellious Dr. Amelia Shepherd on the iconic series, Grey’s Anatomy. Beyond her life on set, Caterina is also the mother to two girls, 6-year old Eliza and 2-year old Paloma. Paloma was born with Down syndrome—a chromosomal condition associated with intellectual and developmental delays. And since Paloma’s birth in 2016, Caterina has become a prominent voice on social media for raising awareness about the condition. In this episode, Caterina shares how she processed her daughter’s condition, and learned to embrace her daughter’s differences rather than view them as “disabilities”. After their conversation, hear Maria Rohan read her essay, “Parental Coping: A Child with a Disability in a Cold World,” from Motherly’s website. Tiffany Dufu frequently states that her life’s work is advancing women and girls, and her resume is certainly good proof of that. She has worked to increase women’s representation in government by serving as president of The White House Project, was a founding member of Sheryl Sandberg’s Lean In initiative, and most recently founded The Cru—a peer coaching service for women looking to jumpstart their careers. In 2017, Tiffany wrote “Drop the Ball: Achieving More by Doing Less” which is an inspiring part-memoir, part-manual about how after she became a mother, she learned to let go of outside expectations in order to achieve what was most important to her. The book has received high praise from numerous outlets including The New York Times Book Review, as well as from prominent feminists like Anne-Marie Slaughter and Gloria Steinem. In this episode, Liz and Tiffany talk about how Tiffany learned to “drop the ball” and define for herself what makes her a good mother, daughter, wife, and career woman. After their conversation, hear Denaye Barahona read her essay, “Less really is more: How to parent like a minimalist,” from her blog, Simple Families. In 2009 Anne-Marie Slaughter landed what she has called her dream job—director of policy planning at the U.S. Department of State. But during that time, her two sons were experiencing a rough period of adolescence, and she found herself wanting to be home in New Jersey with them. So she left her dream job in government after just two years, and then wrote a powerful article for The Atlantic called “Why Women Still Can’t Have It All.” That article went on to become one of the most read articles in the history of the magazine and helped to reignite the conversation around gender equality. Today, Anne-Marie is still one of the most prominent political scientists out there, and in 2015 she published a widely-read book based on the response to her Atlantic article, titled, “Unfinished Business: Women, men, work and family.” In addition to being President and CEO of New America, she is also the mother of two sons. In this episode, Liz and Anne-Marie talk about the value of caregiving, the reasons why it has been so undervalued in our society, and what we can do to start changing these norms and push us towards equality. After their conversation, hear Jacqueline Monro Tapp read her essay, “Our Caregivers Are Lovegivers,” — a selection from Motherly's first book, This Is Motherhood, now available for pre-order on Amazon and wherever books are sold. Whitney Port rose to fame in 2006, co-starring on the hit reality TV series, “The Hills.” Since then, she’s had her own TV show, a fashion line, and most recently has become the Chief Brand Director of Bundle Organics—a company that makes snacks and drinks that help with fertility, pregnancy, and breastfeeding. In 2016, Whitney became pregnant with her first child, and shortly thereafter she and her husband began documenting their journey through parenthood through a YouTube series called “I Love My Baby, But…” The videos are candid, and Whitney is courageously open about sharing her parenting fumbles with her followers. In this episode, Whitney chats with Liz about learning to deal with mom guilt, and the surprising support she’s found from being an open book online. After their conversation, hear Juli Williams read her essay, “My Virtual Village is Real,” — a selection from Motherly's first book, This Is Motherhood, now available for pre-order on Amazon and wherever books are sold. Nora McInerny is an author, podcaster, mother, and something of an expert at talking about both love and loss. In 2014, Nora suffered a miscarriage, lost her father, and then lost her husband to cancer, all in the span of six weeks. Since experiencing such incredible losses, Nora has done a ton to help encourage conversation about the difficult things things that people are often too afraid to talk about. In addition to hosting the podcast, Terrible, Thanks for Asking, running the non-profit Still Kickin’, and co-leading the group The Hot Young Widows Club, Nora has also written two books: It’s Okay To Laugh (Crying Is Cool Too) and most recently, No Happy Endings. In this episode, Nora chats with Liz about meeting her second husband, blending their families, and learning just how expansive love really is. Following their conversation, listen in as Motherly Brand Editor, Sara Goldstein reads her essay "Raising our kids together, separately" — a selection from Motherly's first book, This Is Motherhood, now available for pre-order on Amazon and wherever books are sold. Senator Tammy Duckworth (Illinois) is one of the most prominent mothers in American government today. In 2014, at the age of 46, she gave birth to her first child, Abigail, and became one of only 10 women in history to give birth while serving in Congress. In 2018, she once again made headlines after giving birth to her second child, Maile, this time becoming the first U.S. Senator to give birth while in office. In 2018, for the first time in history, Senator Duckworth got the U.S. Senate to agree on a vote to allow babies onto the Senate floor, so that she—and others in the future—could breastfeed while partaking in important votes. And this past October, she successfully passed the Friendly Airports for Mothers Act. In addition to being a groundbreaking politician, a purple heart recipient and veteran of the Iraq War, Senator Duckworth is a powerful advocate for veterans and working families. Senator Duckworth spoke with Liz from the Senate offices in Washington DC, and chatted about how motherhood opened her eyes to the important policy changes needed to better serve working families, as well as her own difficult journey to motherhood. Stay tuned to hear the essay, "We still show up" from Motherly's first book, This is Motherhood—now available for pre-order on Amazon and wherever books are sold. Hillary Frank is a veteran podcaster and renowned journalist, and her podcast, called “The Longest Shortest Time” is one of the most recognized parenting podcasts out there. It started as a way for Hillary to cope with her loneliness and struggles in her early weeks of motherhood, and has since grown into an immense collection of stories from parents in all sorts of circumstances. Since its debut in 2010, it has won numerous awards, and tons of critical acclaim, including being on the 50 Best Podcasts lists in both Time Magazine and The Atlantic. In this episode, Hillary and Liz chat about Hillary’s new book, “Weird Parenting Wins: Bathtub Dining, Family Screams, and Other Hacks from the Parenting Trenches,” as well as everything else she’s learned in her near-decade of listening to parents tell their stories. We'll also hear form Motherly contributor and Clinical Psychologist, Ilyse Dobrow DiMarco, as she reads from her essay, "Turns out, there are some things we can control as parents." Read more of her work here. Katrina Scott, co-founder of the fitness empire Tone It Up, is a health inspiration to millions of women around the world. Since 2009, she has been teaching women how to get strong and feel their best through workout classes, videos, books, and social media posts to Tone It Up’s +1 million followers. In October of 2018, Katrina gave birth to her first child, and it gave her a completely new perspective on what a strong body looks like. Continuing to empower and inspire, Katrina talks to Liz in this episode about staying healthy throughout the motherhood journey and changing the way we talk about women’s postpartum bodies. Listen in as Motherly Stories Editor, Colleen Temple shares her personal essay, "The Day I Stopped Hiding My Postpartum Body From My Husband." Read her essay and more of Colleen's work on Motherly here. Joy Cho was jobless and looking for work in a new city when she started her blog, Oh Joy! Today, that blog is the home base of her wildly successful design business, which partners with companies like Target, Banana Republic, and Anthropologie. Joy also holds the record for having the most followers on Pinterest and has twice been listed as one the “30 Most Influential People on the Internet” in Time Magazine. For our first episode of The Motherly Podcast, Joy chatted with Liz about growing her business while raising her two young girls, infusing her personal life with the creativity we know from her brand, and learning to stop comparing herself to other mothers. Then continue listening as one of Motherly’s editors, Rachel Gorton shares what she learned from watching her own mother juggle kids and career. Read her full essay on Motherly here.